For the first-time homebuyer, house hunting can be fun. Finding a real estate agent, not so much. That’s what home search services like ZipRealty are built for. They want to make it easy for you to find houses online, then contact an agent. Home searches equal agent referrals; it’s as easy as that. 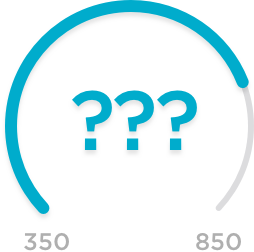 ZipRealty has a unique home value estimation tool and a competitive mobile app, but a few limitations, too, such as the fact that it’s not available nationwide. So how good a home search tool is ZipRealty.com? Here’s what we found. Home listings ZipRealty claims to have “every available home for sale” in a market (up to “30% more than other websites”) with direct-from-MLS listings updated “every two minutes, on average.” Coverage is not nationwide. The brokerage serves 25 major metro areas in the U.S. 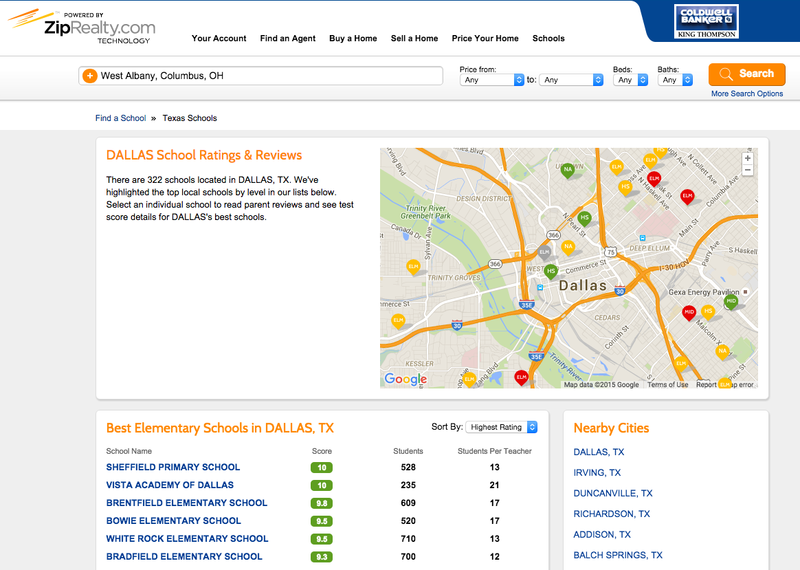 Neighborhood info Enter a ZIP code, and the “Find a School” tool will show local schools with ratings, numbers of students and student-teacher ratios. Community reviews also offer interesting insight. Additional neighborhood information, such as crime and education statistics, don’t always populate in the “Local Info” data pop-up. Other resources The site’s interactive home value tool lets you estimate your home’s value and compare your estimate to Zillow’s Zestimate, among others. You can also register for home value updates via email. The pricing tool isn’t available in all markets. And the site isn’t rich with additional resources; its blog hasn’t been updated so far in 2015. Finding an agent Agents are searchable by review ratings, number of reviews and city served. Searches only return agents who work with ZipRealty and its affiliated brokerages, such as Century 21. Like Redfin, ZipRealty is a residential brokerage company. Its parent company, Realogy, claims to be the largest residential brokerage company in the U.S. Its brands include Better Homes and Gardens Real Estate, Century 21, Coldwell Banker, the Corcoran Group (of “Shark Tank” fame), ERA and Sotheby’s International Realty. The site is a marketing platform for ZipRealty agents, as well as agents who work with brokerages owned by Realogy. That limits agent search results. But unlike Redfin, ZipRealty doesn’t offer commission refunds to buyers or reduced-fee listings to sellers. Basically, ZipRealty is a conventional real estate brokerage, leveraging online technology. Home value estimates: ZipRealty uses a combination of techniques to estimate your home’s value. The site provides a price history chart that shows your home’s value over time, letting you see where you are in the peaks and valleys of recent property values. Another interesting home value tool allows you to find comparable home sales and adjust the house results according to number of bedrooms, bathrooms, square footage and distance from your home. Finally, users can request an expert opinion from a local ZipRealty agent. Listing check tool: If you’ve ever found the perfect house online and contacted the agent, only to be told the house sold weeks ago, you know the frustration of outdated listings. But if you enter an address into ZipRealty’s “Listing Check” tool, you’ll be able to confirm whether a home is still on the market. ZipRealty says over 15% of the listings on other home search websites are “stale, expired or inactive.” This tool will give you confidence you’re not wasting your time on a home that’s already sold. Mobile app: Clareity Consulting, an information and IT consultancy serving the real estate industry, rates the ZipRealty mobile app No. 5 of 15, giving it high marks for being well-organized with a “smart-looking home screen with two-color graphics.” Clareity also praises the app’s real estate tutorials, interactive map and draw-a-search features. Android and iOS user reviews like the app’s interface and the desktop syncing, but complain about a lack of search parameters, duplicate listings, crashes and instability. “Overall this is a pretty good app, but not quite in the same league with the top players,” says Clareity. With search capabilities and listings at least comparable to the competition, ZipRealty is a worthy home search alternative, though users in unserved cities will need to lean on other search sites such as Zillow, Realtor.com or Trulia. Ultimately, ZipRealty is a real estate brokerage firm rather than simply a home search tool. Its job is to promote its own agents and serve a local customer base, just like a Century 21 or Re/Max office down the street. 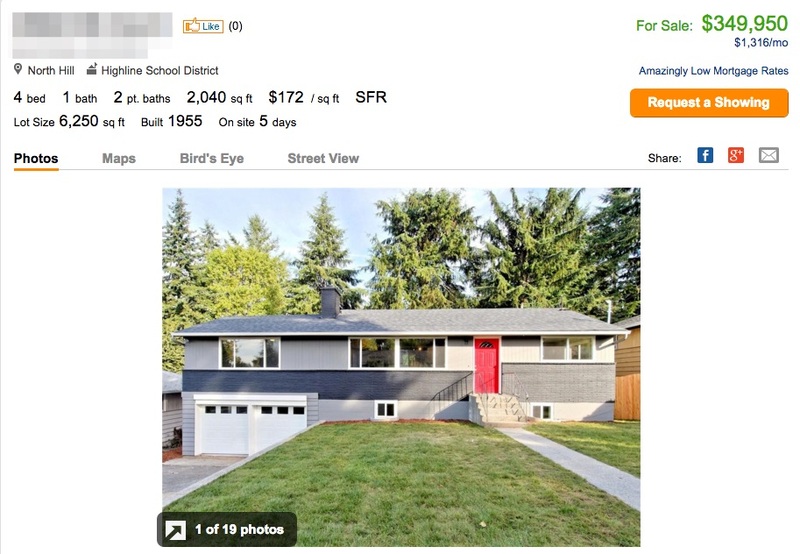 As an online house hunting site, and without the fee discounts of Redfin, its head-to-head competitor, ZipRealty does the job but doesn’t distinguish itself.